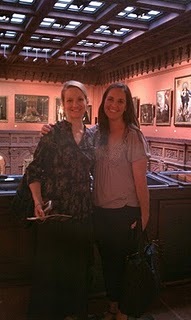 Last week I flew to New York for a very fast trip to attend the opening of the Small Works show at Arcadia Gallery. My dear friends Diane Feissel and Alia El-Bermani made a daytrip of it by trekking all the way from Philadelphia and Raleigh, NC, respectively, to enjoy the day with me in Manhattan. 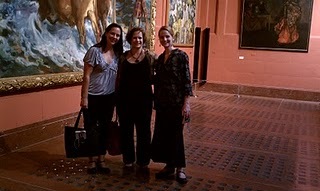 We decided to take a quick subway trip up to the Hispanic Society to see the Sarolla murals, and what a treat! The museum is a gem, built expressly to showcase the collection, and best of all it's completely free! 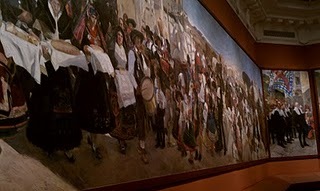 Walking into the enormous room of Sarolla murals was jaw-dropping: A panorama of luscious brush strokes expertly capturing the blazing sunlight and dappled shade of the Spanish countryside and traditional festivals. Sarolla was commissioned by the Society to create these murals expressly for this location. You have to go back there when they reopen the north wing, some fantastic things there. 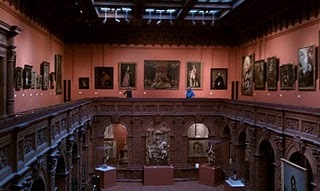 Also...it's very easy to do copy work there, I spent my Fridays and Saturdays there during my last NY month copying the little Velazquez portrait of a little girl. Did you go into their library where they have tons of Sorrolla's portraits? This is an amazing building and the collection looks fantastic too. Thanks for sharing it!